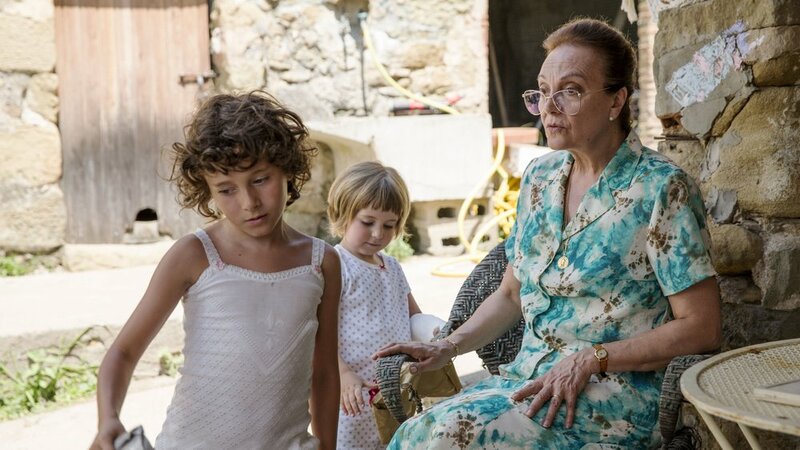 Winner of the Best Feature Film this year in Berlin, writer / director Carla Simón's feature debut Summer 1993 is a touching and subtle view on childhood grieving. It is often an uncomfortable watch but always rewarding. Frida is a six year old who has just lost her mother, the second of her parents to die. We are told that she died of pneumonia but the complete truth is more complex than that. Moving out from her house in Barcelona to the countryside to live with her uncle and his wife, Frida is quiet and initially unassuming. As time progressed through the summer though, cracks begin to show in both her handling of her mother's death and her new parents' ability to communicate with their new charge. Earning her first screen credit, Laia Artigas is an almost angelic face for Frida, all cute curls and sweet looks, but this belies the emotions being processed beneath the surface. Frida is on the edge of completely understanding the situation she finds herself in and the conflicting groups of adults that surround her only serve to confuse this issue more. Her aunt and uncle, though well meaning and friendly, show no sign of having comprehended what they have taken on. We barely see Esteve (the uncle) as he potters around making cabinets at the rural farmhouse but he's there just enough to upset the consistency of care that Anna (the aunt) is using as a crutch to help her deal with the new and damaged addition to the family (they have a younger daughter). Frida's grandparents ignore requests to stay away whilst she settles in and her grandmother's religious tendencies further muddy the water for the impressionable girl. Add to this the suspicion of the local mothers over Frida's potential health issues and the poor girl is very much left on her own to process her feelings. This of course leads to consistent low level of bad behaviour from Frida that ultimately starts to endanger her younger sister. Simón's movie is wonderfully subtle in its approach to childhood grieving. We view things predominantly from Frida's point of view and the failure of the adults to engage and accept the emotions that Frida is dealing with is painful to watch. All parties are well meaning, but there is a reliance on the hope that if they just treat her as a part of the family, the rest will sort itself out. Intra family politics, though not devastating in themselves, have a disproportionate impact on the young child and the adults' inability to deal with this exasperates the situation. The seeds are sown when Anna insists that Frida drink her milk at breakfast - Esteve playfully drinks the milk when Anna isn't looking, setting an immediate chink in the parental team. Summer 1993 is a moving and extremely well laid out examination of how a small child would deal with the loss of their second parent. It delves into how family dynamics can both help and hinder the situation, which at times can be uncomfortably tense. Great performances, especially from the two young girls add to making this thoroughly rewarding viewing.